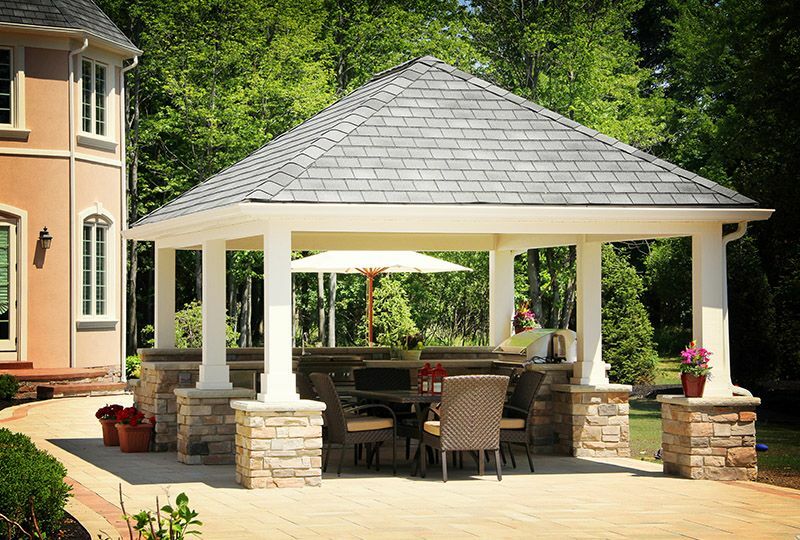 Extend your home’s living space outdoors with a covered patio. 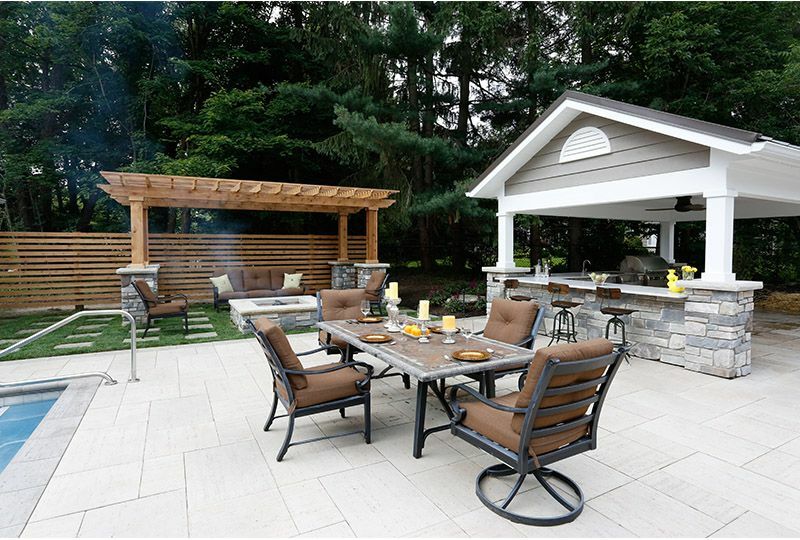 Adding a cover to your patio allows you to use your space longer throughout the year and seasons in Northeast Ohio, as it provides essential shelter from the elements and shade from the hot summer sun. 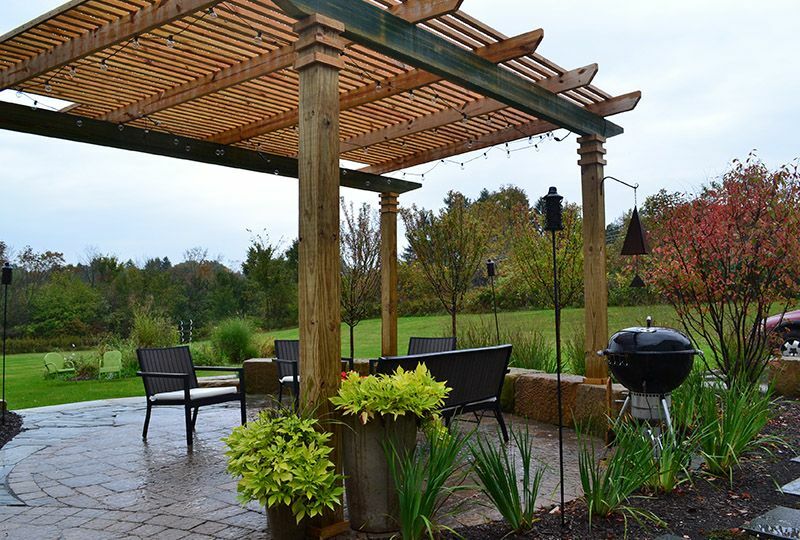 A covered patio is not only a smart choice for enhancing your home’s function, but can be a stunning outdoor design feature. There are many options for designing a covered patio. Using the same roofing materials as your home, Exscape Designs can extend your roofline to cover a desired patio space. 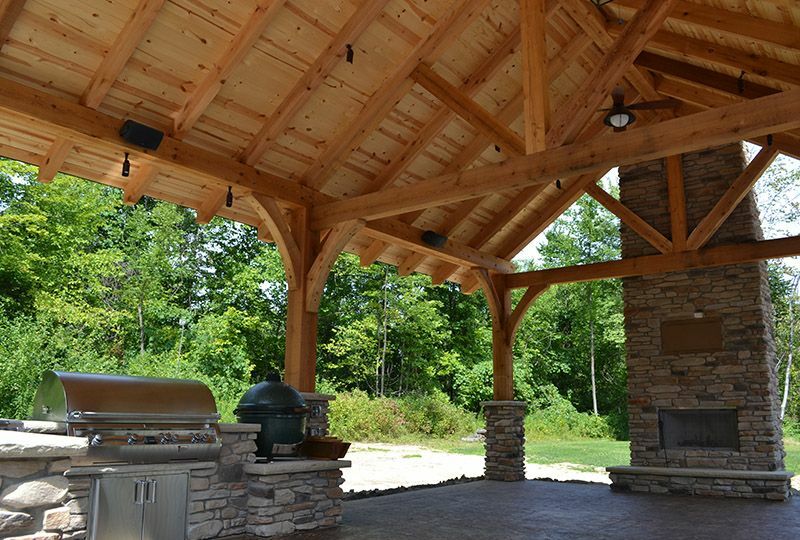 Another option is to install large wood beams, extending from your home to add some shade and cover while allowing the light to pass through. There are many options to consider as you plan your covered patio design.